We welcome our resident gardening guru Geoff Stebbings from www.thebikinggardener.com with his weekly tip for what we should be doing in our garden this week. After the long, cold winter we are always in a rush to plant and make a start in the garden as soon as we get a few mild days and the sun is strong enough to reveal those streaks on the ‘just cleaned’ windows! Garden centres will soon have tender young plants that are just so tempting, but unless you have a greenhouse and can protect them from frosts they are better left for a month or more. 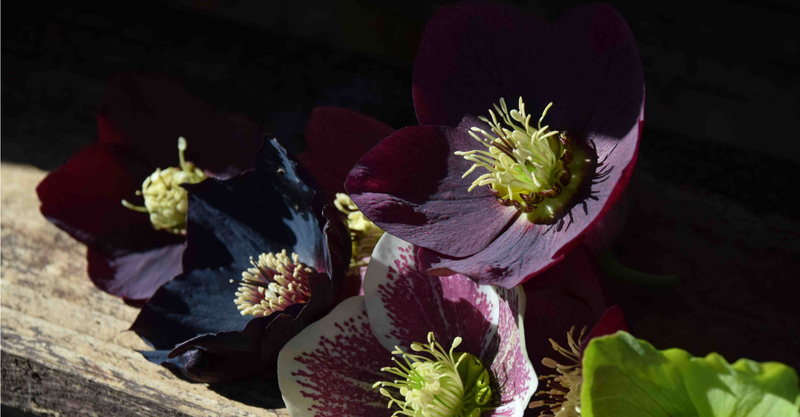 A far better buy are the numerous hellebores that are now deservedly popular. 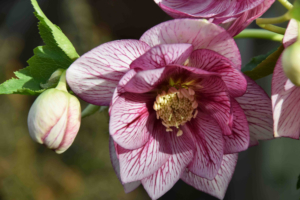 Although the range of types has increased hugely in recent years, the best are still the different types of Helleborus x hybridus, commonly called Lenten roses and previously known as Helleborus orientalis. They begin to flower in late January and most are at their best now. They are long lived perennial plants that get better every year. Look in your local garden centre now and there will be a range of lovely colours. Prices will vary from £5- 20 depending on the variety. Because they get better every year even the most expensive are good value. I have paid £25 for special double and very dark flowers and don’t regret it for a second! So get choosing and pick out the colours and patterns you like best and pop them in the garden for a display that repeats every year. Plant in light shade or part shade. They will survive but grow more slowly in deep shade. They prefer a moist, rich soil but will tolerate dryness once established. Wet, waterlogged soils are not suitable. Once established they may self-seed and give you lots of free plants. Maintenance is easy – cut off faded flowers in May and trim off all the old foliage in December – to prevent disease and better show off the spring flowers. The stems do not take up water well but if you pick off individual flowers and float them in a bowl of water, perhaps with floating candles you will have a lovely display that will last a week. 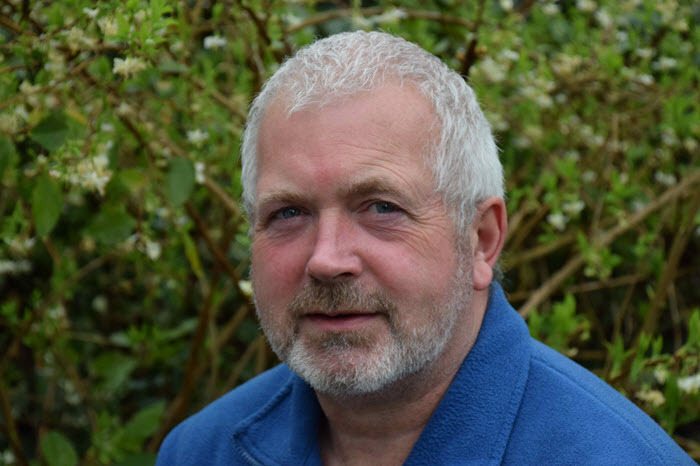 You can find Geoff at his daily talks at the Allianz Garden Show Ireland this year which takes place at Antrim Castle Gardens from 5th – 7th May.